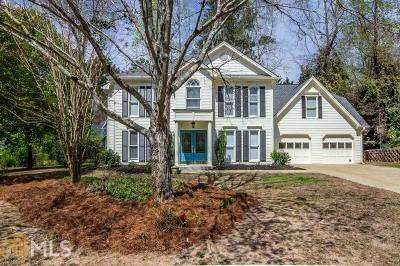 A Great Opportunity in a Desirable North Peachtree City Location! 5 bedroom/2.5 bath Home Located on a quiet culdesac lot! Easy access to golf cart path, schools, Kedron Fieldhouse & Aquatic center! Lots of natural light throughout! Interior/exterior recently painted, newer roof and gutters (approx. 4 years old), New carpet, New blinds, Move right in and unpack! All appliances remain along with washer & dryer! 2.5 car garage with workshop area! Directions: From Hwy 74/Hwy 54 Travel North To Right On 2nd Kedron Dr., Right Into Emerling Grove Subdivision (Emerling Lane) And The House Is Down On Right Hand Side.